(pass-throughs) which can deduct up to 20% of their Qualified Business Income (QBI) under new IRS Section 199(A). What is Qualified Business Income? Qualified Business Income is net income that is received from a Qualified Trade or Business. Capital gains, and dividend and interest income are not considered business income. Guaranteed payments or wages paid to owners are excluded. Income Limitation for Specified Service Trade or Businesses Owners of a Specified Service Trade or Business may take the QBI Deduction if their taxable income is below $157,500 for single filers ($315,000 for Married Filing Joint) to be eligible for the full deduction. How is the QBI Deduction Calculated? The QBI Deduction usually is the smaller of 20% of the Qualified Business Income or 20% of taxable income. For example, a single self-employed lawyer has $150,000 of QBI. His taxable income is $138,000(below the income limitation). Therefore, his QBI deduction is $27,600, which is 20% of his taxable income. Good news for staffing firms, and the real estate industry! The IRS proposed regulations clarify that the following businesses qualify for the QBI deduction with no income limitation: staffing firms, real estate agents and the rental of tangible or intangible property to a related business. Other rental real estate properties may qualify if the activity rises to the level of a business. Limitations for Qualified Businesses – these businesses have no income limitations but may be limited based on the business’s W-2 wages and unadjusted basis in qualified property. 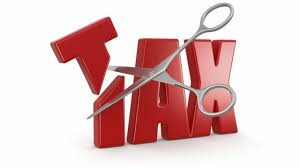 The amount of the tax deduction will vary depending on the specific taxpayer circumstances. Want to maximize your deduction? Whether your business is a Qualified Business or a Specified Service Trade or Business and regardless of your income level, there are numerous tax moves one can do to maximize this new Sec 199(A) deduction- even for 2018! Please consult with us about your situation.